Self-confidence. Self-expression. Joyful movement. Elegance. Mental focus and physical exercise. Emotional support. Partner social dance can transform lives. Heart of Dance co-founders Andrea Mirenda and Ember Reichgott Junge have experienced this for themselves and others. That's why they co-founded the Minnesota nonprofit Heart of Dance: to bring the physical, emotional and social benefits of ballroom dance to those who might not know them. Inspired by the award-winning documentary Mad Hot Ballroom, they chose Dancing Classrooms as their first program bringing ballroom dance to fifth-graders. Minnesota is the 30th site of this proven global 20+ year social and emotional learning program. In our first two years we have served over 1,760 fifth-graders in 80 classrooms in the Twin Cities area, doubling capacity in its first two years. 79% of participating students have been of color. New York-trained Teaching Artists teach students Merengue, Tango, Rumba, Foxtrot, Waltz and Swing during their 10-week in-school residency. They help classroom teachers coordinate the dances with other subjects, such as social studies, math, English and art. They help students discover all they can be. Our mission is to transform the social- and self-perception of individuals living with a variety of challenges by personally experiencing the physical, mental, and emotional benefits of social dance. Our vision is that youth, seniors, veterans, and any individuals living with mental, emotional, or physical illness or challenges are renewed through the connectedness of partner dance. We will extend Dancing Classrooms to eighth graders in the future and as we grow, we’ll create independent programs to serve individuals of all ages consistent with our mission. Please see below for more information on Dancing Classrooms. We are an IRS-designated tax exempt public charity ((501(c)(3)) so contributions to Heart of Dance are tax deductible! Find out more about the Dancing Classrooms Program. Fifth grade students and their classroom teachers receive a semester-long course of dance instruction provided by our teaching artists at no cost to the students. Students and teachers learn six social dances: the Merengue, Foxtrot, Rumba, Tango, Swing, and Waltz, as well as the historical and cultural origins of each dance. We have many exciting opportunities for you to be an active part of Heart of Dance as a volunteer, ambassador, classroom assistant, or professional buddy! You don't need to be a dancer to experience the joy of working with our fifth grade students. Connect us with interested schools, teachers, donors, and volunteers. Use your personal and professional networks to help us be more successful. Find out what is next for Heart of Dance on our upcoming events page. 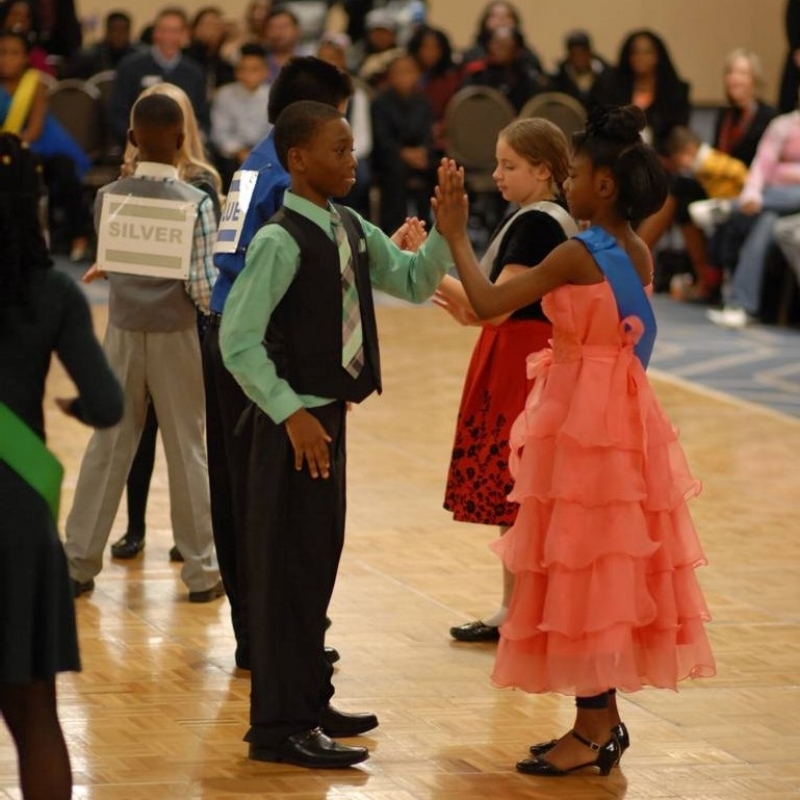 Join us at our next Colors of the Rainbow Team Match, a city-wide competition for our fifth graders (see video above), students perform the Merengue, Foxtrot, Rumba, Tango, Swing, and Waltz before a panel of five experienced ballroom dance judges. Or, join us for a school site visit by "Steppin' with Class."